There are 7 reviews of Eau de Cedrat. Lovely riff on cedrat and cedar, and surely superior to Cedre & Oranger by the same house, which attempts the same thing but with less success in my view. The lines and proportions are well drawn, and would be a good choice for summer. Just a shame that I keep finding these things in winter. Worth more investigation. And as with all products from the house, its claims to a large proportion of natural ingredients is highly plausible. Upon further wears, I've noticed some olfactory fatigue in the dry down, presumably from the cashmere woods. Although I still like this fragrance, the cashmere woods do seem to bring a synthetic vibe that wears on my senses after a while. An excellent opening citrus blast. As mentioned, it has a sweetness that gives an impression of lemon candy, but it is very refreshing as well. This becomes more woodsy as time passes. It's a very pleasant, musty woodiness that comes from the Cashmeran, or Cashmere Woods. I'm also picking up a slight, very light floral. It vaguely reminds me of the dry down of Acqua Viva. Acqua Viva is much more lemon centric throughout that Cedrat and it doesn't have the woody presence that Cedrat has, but it still has some similarities. I've heard people say that Cedrat smells like Lemon furniture polish, and also like lemonade. It smells nothing like either of those things to me. I quite like Cedrat and for the money, it's a great value. Two thumbs up. I find I like everything I try from L'Occitane, and really was impressed from the first spray with Eau de Cedrat. 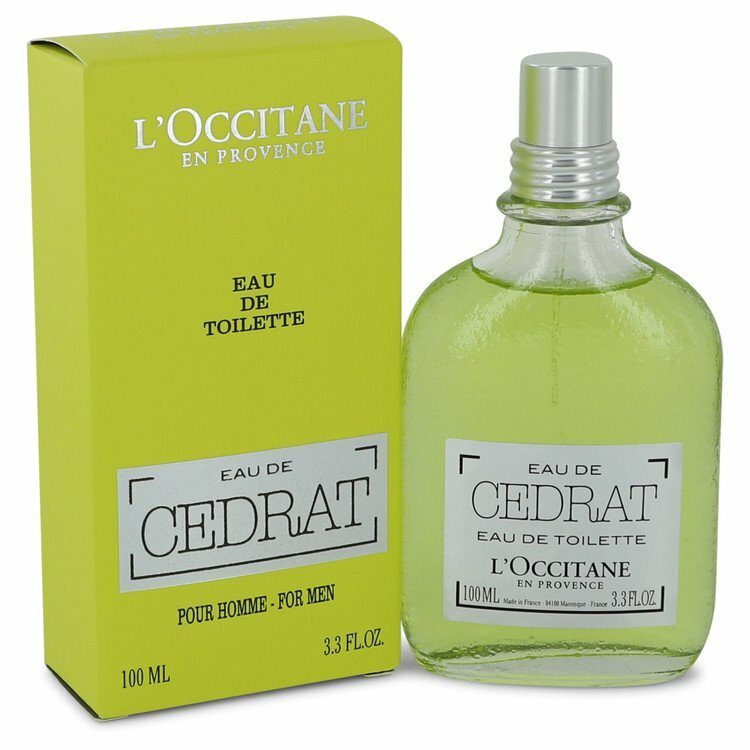 Cedrat is a lemon-bergamot fruit that is an interesting yet short lived opening note. The quickly fading lemon tone, pairs with a clean cedar and cashmere woods to create an extremely unique and refreshing scent. EdC offers a clean wardrobe cedar, a sweet, soft cashmere and a hint of Mediterranean citrus that's old school masculine, but also modern and bright. EdC reminds me of a sweeter citron version of Spice & Wood from Creed, but certainly different enough, that the comparison is only a fair similarity. Good longevity, average sillage and a great price. Superior quality for the money. A worthy Thumbs Up for me. Awesome fragrance and my first purchase from the house of L'Occitane. Smells similar to something I have smelled before just can't put my finger on it... Starts very strong citrus/lemon blast. The citrus doesn't last very long and it does mellow into a sweet cashmere woody dry down which leaves a bit of a barbershop vibe. It is very pleasant and works well for the office or weekend scent IMHO. Got mine for 30 dollars US so can't complain about the price. Good buy all around. Enjoy. This is a strange perfume. Starts very lemony (cedrat is a lemon like citrus) but is also sweet and sugary. Nothing remarkable about to notes. It is the drydown that is interesting. It is not unlike Samsara (Guerlain). I was pleasantly surprised. The dry down is powdery,sandal-ly and long lasting. Certainly not something you would expect with a masculine fragrance. I would recommend it just because it is very interesting. For the price though I would get Samsara. L'Occitane En Provence CEDRAT Men's Eau de Toilette Spray Men's Cologne 3.4 oz. There are no member images of Eau de Cedrat yet. Why not be the first?